A wonderful mixture of Arabic, Oriental and Spanish sounds comprises Masara's second album released seven years after their debut in 2003. 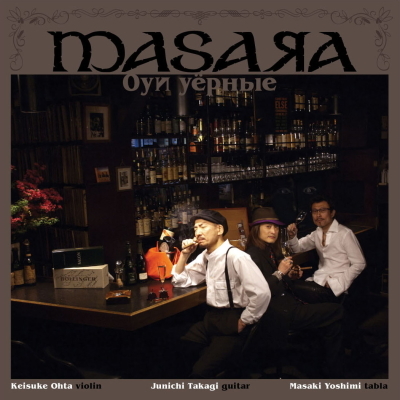 Masara is a Japanese trio of Takagi Junichi (guitar), Ohta Keisuke (violin) and Yoshimi Masaki (tabla). 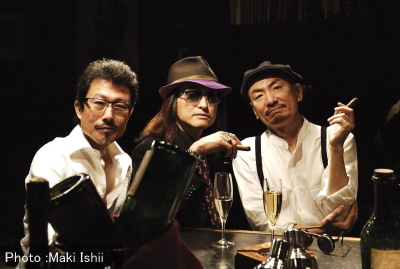 Each member is an experienced player in the genre of ethnic or world music, having played in numerous projects at home and abroad. Adding to their usual spice-scented sound, Takagi's flamenco guitar is a feature this time and the album also brings us the breeze of Andalucia. 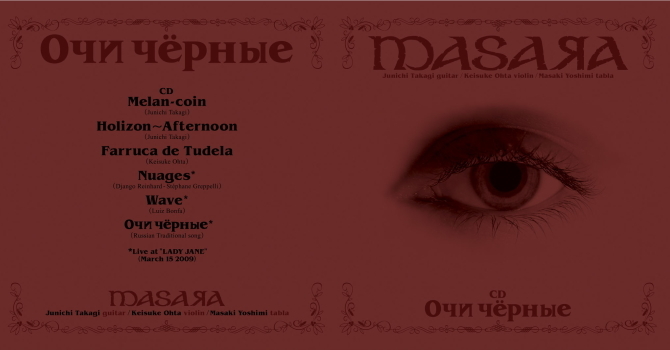 The CD is coupled with a DVD of Masara's live show at Za-Koenji in 2009 directed by Aoyama Shinji.